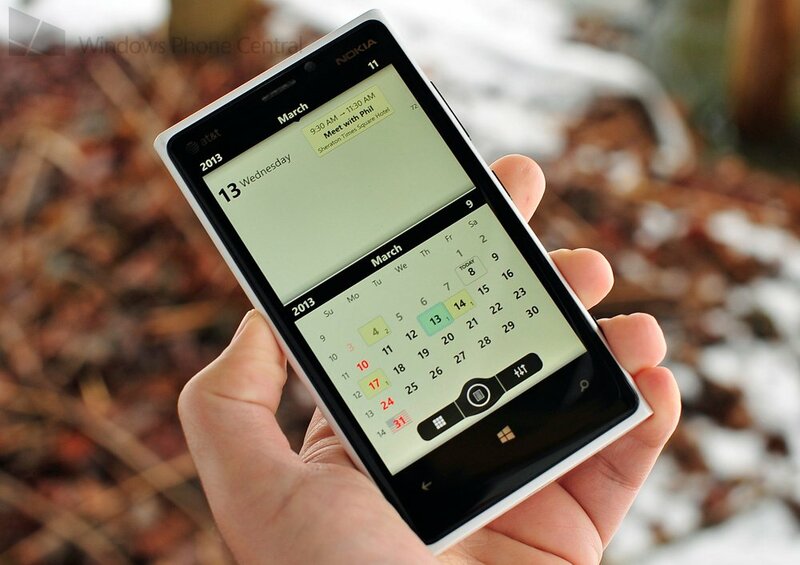 We don’t cover calendar issues here too frequently if only because we know the native calendar app for Windows Phone is “meh” and third-party apps are hit and miss. Toss in the fact that everyone has their own idea of what makes a good calendar and it’s a hard topic to cover. But we were recommended Chronos Calendar by a reader today and upon trying it, we were kind of blown away. For one, it’s in our opinion gorgeous. The app supports high resolution graphics and boy do they shine on a Windows Phone 8 device. With bold, crisp visuals, we really enjoy checking out the split view (day on top, monthly below) for our appointments. Navigation is also simple with the 3 button center console: view toggle, jump list, settings. 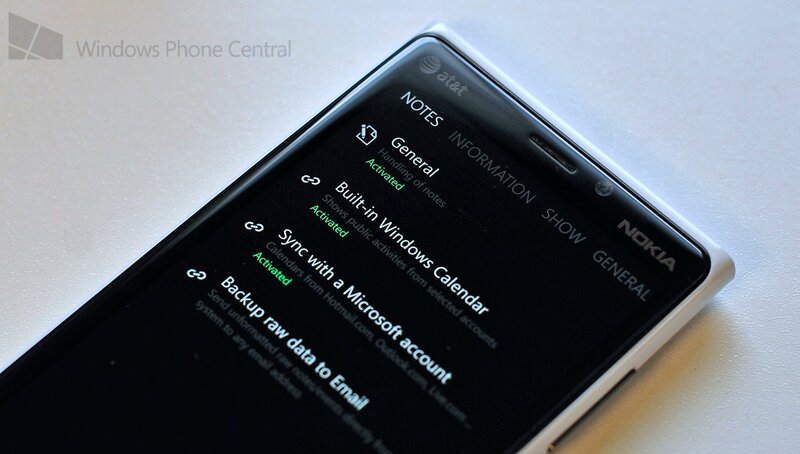 Tapping any day will cycle through that selection on to the top window, allowing you to quickly visualize your tasks. The app though has a ton of features below the hood too, including the ability to sync with the built-in Windows Calendar and synching with your Microsoft Account. That’s super important because you want this app to basically substitute for your native calendar app and for the most part, you can. When you add a new appointment, it will give you the native appointment maker but will sync the info both to your Microsoft Account and Chronos at the same time. It’s quite brilliant and works without a hitch. The Live Tile is also nothing to brush off. Sure it has a double wide that flips with more info but the developer has also pushed in an editor, allowing you to customize the look and feel of that tile. 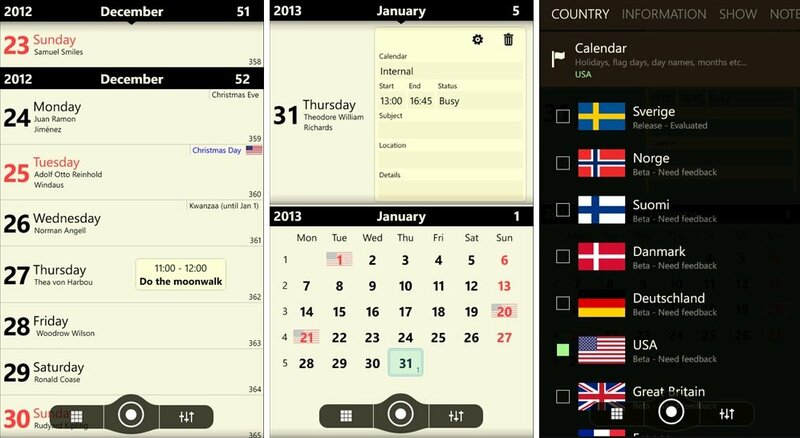 Whether it is the color, information being displayed or ‘dim forthcoming days’ the app has just about every choice you would want in a robust calendar app. Finally, the app is fast with a 2.5 second load time making it an easy replacement for your built calendar. It’s sprightly and nimble, just as a calendar app should be. We’ll be doing a full review of Chronos Calendar in the coming weeks but for now, just go and get it yourself. It’s completely free with no ads, which you will realize is mind boggling after you try it. Pick it up here in the Store for Windows Phone 7.x and 8 devices. Highly Recommended. Thanks, Mattias H., for the tip!